The sins of the father are visited upon his son. 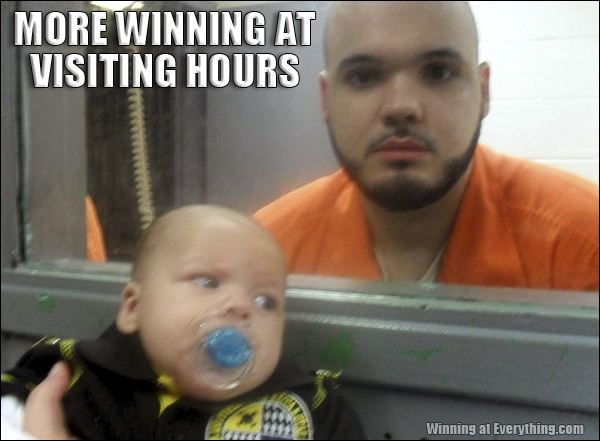 Hey Billy, remember when we used to visit Daddy No.1 in prison? Good times. That was before we got our double-wide. Dad and son share the same haircut. “Yeah, Pal…I just got done doin’ 9 months in the hole, solitary confinement. What you in for?”. When Dad saw the nicely mounted 5×7, he exclaimed “I was framed!”.